A flexible multi purpose adhesive with patented FLEXTEC™ technology - resistant to water, shock, vibration and temperature. Repairs and bonds virtually all surfaces and withstands the most extreme weather, whilst providing an outstanding bond. Can even be applied in damp conditions. Can be repositioned for up to 5 minutes. 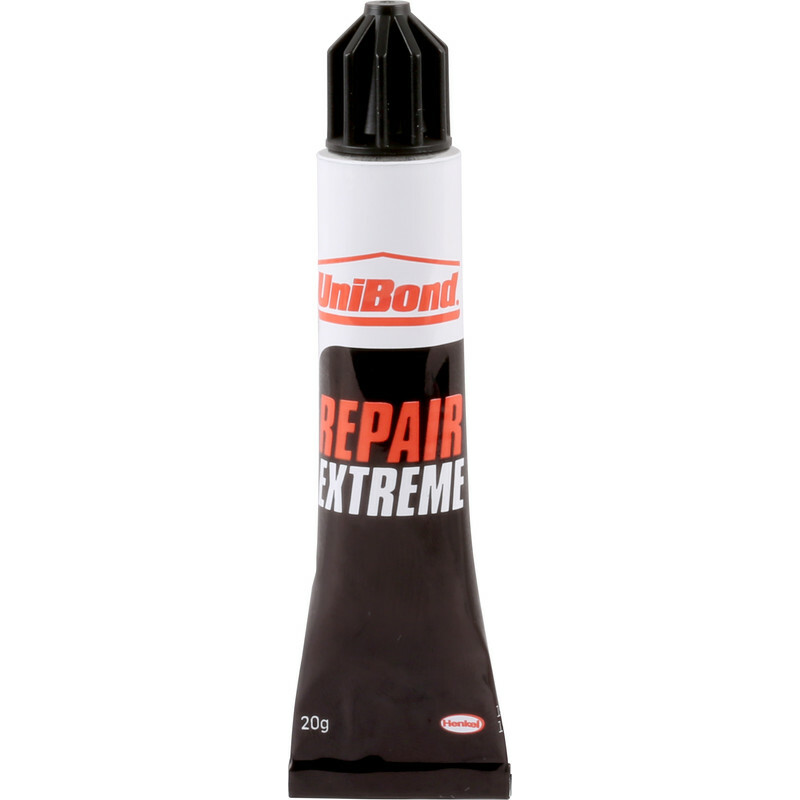 Unibond Repair Extreme Adhesive Solvent Free 20g is rated 4.0 out of 5 by 4. Rated 3 out of 5 by bluearcher from Nearly excellent Great for jobs like mending trainers, where the surface area to work on is quite large. Not so great for finer work and messy to apply. Not convinced it is as temperature-resistant as claimed either. Rated 5 out of 5 by Nave from perfect Works really well and cost effective. Rated 4 out of 5 by Stubob from Does what it says used to seal conduit in the garden , works really well.